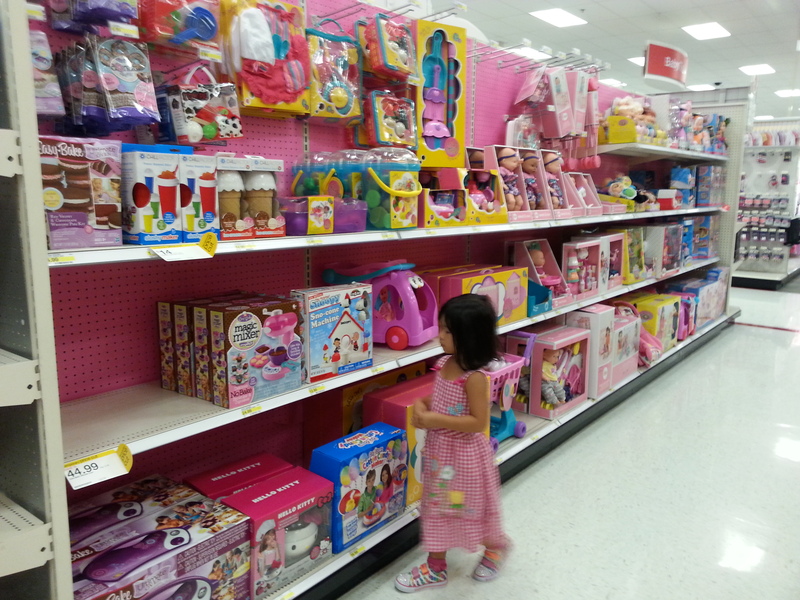 My daughter and I braved the store today to get some eggs. I say “brave” because it’s really an act of courage to go into that store known for its bulls-eye (you know the one), with a 4-year old skipping by your hip. Yes, you know the one, that magical place that sells eggs … and everything your kid could possibly want in one convenient location. Want a tricycle? Some suitcases? Underwear? Bacon? It’s all here. You gotta love it. But wow, when you walk in there, you really must keep your priorities straight — get the eggs, get the eggs, GET THE EGGS. There have been times I’ve come home with summer clearance items and marked down Valentine party plates … and yet completely forgotten what I came in for! Well, this time, I remembered. I got the eggs and about twenty five other things … and finally, after it was all done, my daughter was thirsty. I have no idea what got into me, but I felt like I wanted to do something special for her, just because. I wanted to do something BIG. We headed to the in-store food court. “You can choose ANY juice you want,” I heard myself saying. You’d think I just handed her the moon. 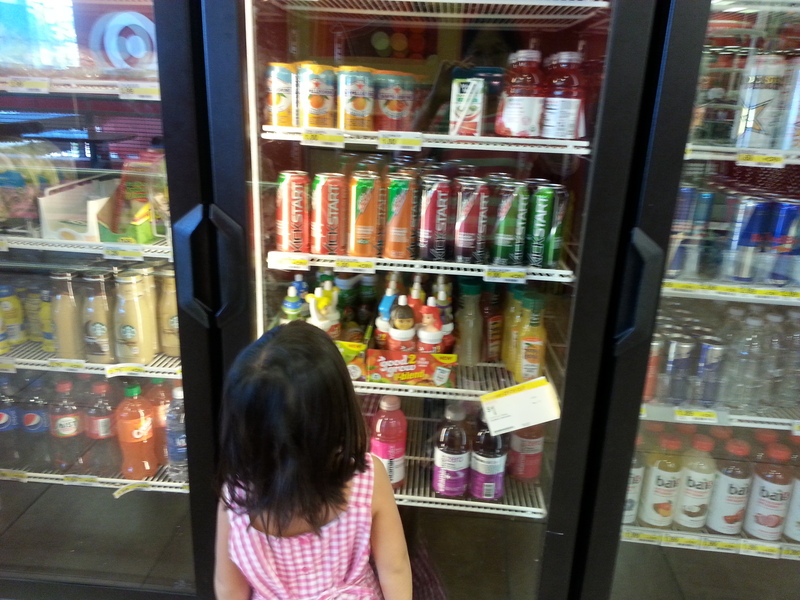 She stood there for five seconds, and finally reached into the refrigerated case, bypassing the $1.00 juice boxes and reaching for the juice bottle with a huge Doc McStuffins head on it … of course. It was almost $3.00 … of course! I must tell you, I don’t normally buy these kinds of fleeting fancies (aka brilliant marketing ploys preying on the innocent minds of our children). But she was all smiles as I took it to the register. We stood in line … and I happened to look up at the menu and noticed a new item: french fries. Oooh. I eat so cleanly and healthy in order to keep up my energy … but I do have a weakness, and it’s french fries (and cheesecake!). 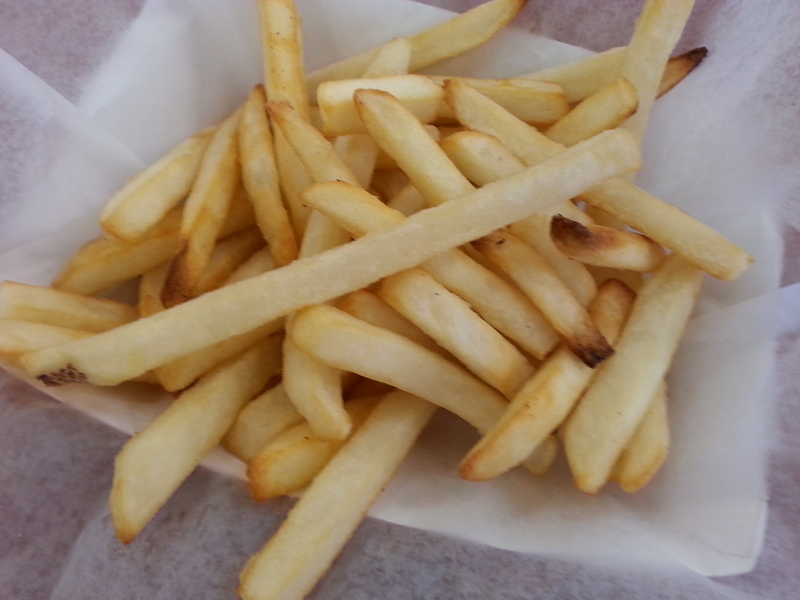 I love my french fries … criss cut, straight, wedged, curly, shoe stringed. Yet I absolutely despise them for being so good but so bad for you! I resisted. 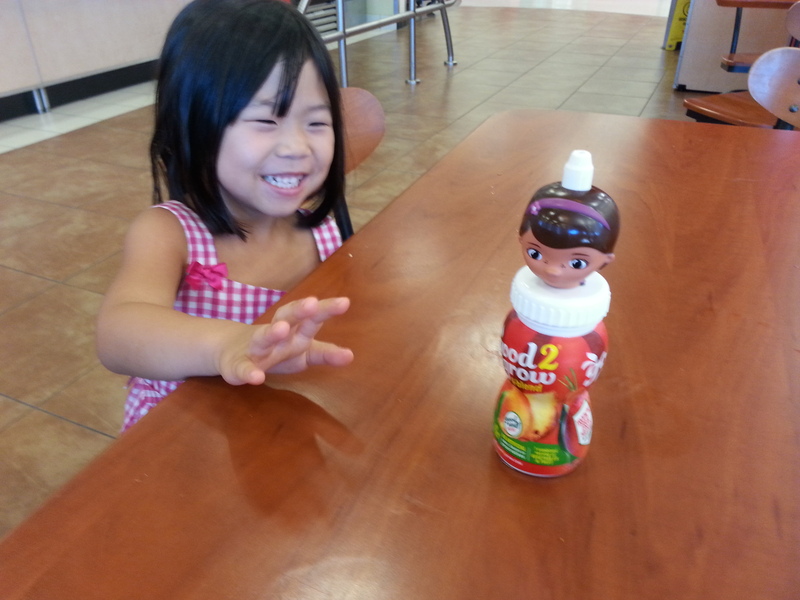 I paid the cashier for the big headed juice, and we sat down in the food court. The girl had a point. I once nearly passed out from low blood sugar. I didn’t actually black out — just got very lightheaded and weak. Okay, I’m sold. I know this is not the healthiest thing in the world. But you know what? Everyone deserves a little splurge once in a while. And maybe happy little splurges from time to time are part of being genuinely well?? No worries, tomorrow, it’s back to kale smoothies! What are your little splurges? I really want to know! I agree! I feel like splurges are so good for the soul at times! They give a little boost! A couple years ago I had a lot of health problems. I could barely eat anything. As a result, sometimes food just felt boring. Now, even though I try to eat relatively healthy, I feel like the splurges give my life excitement! SO, my splurges? MILKSHAKES. And cookies. 🙂 Love the post! Oh I am really sorry to hear about the health problems a couple of years ago, Marla. So I know you understand. Milkshakes are pretty awesome. And who doesn’t like a cookie! ?